In 1798, Valentine Cunningham dammed Wolf Creek in a wild Pennsylvania landscape for the purpose of starting a mill. By 1876, when Isaac Ketler came to start the nationally recognized Grove City College, it was a thriving village known as Pine Grove. Flowing outward from Cunningham's mill, the area now known as Grove City doubled in size, and it doubled again during the early twentieth century. Marketing slogans such as "Where Industry and Education Unite" and "No saloons" described the expanding town. Prohibitionist sentiments peaked when local tycoon Edwin Fithian ran for U.S. senator on the Prohibition ticket in the 1920s. All the while in the background, Wolf Creek provided the city with inspiration, energy, and recreation and was even once set ablaze. 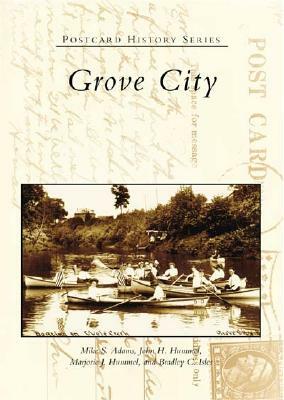 Grove City looks back at the rich history of this growing Pennsylvania community.